Telling the story of Australia as it is today, Gabrielle Chan has gone hyper-local. In Rusted Off, she looks to her own rural community’s main street for answers to the big questions driving voters. Why are we so fed up with politics? 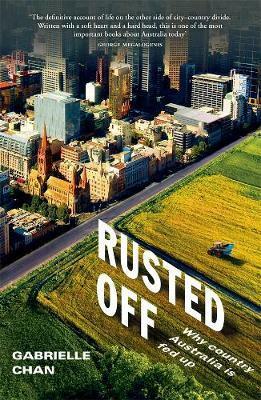 Why are formerly rusted-on country voters deserting major parties in greater numbers than their city cousins? Can ordinary people teach us more about the way forward for government?